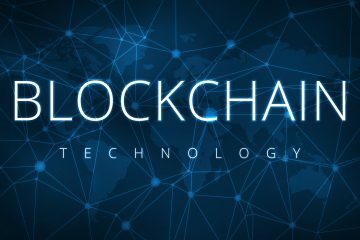 If you haven’t heard of blockchain development, check out this article where we outline what it is and how new developments happen. 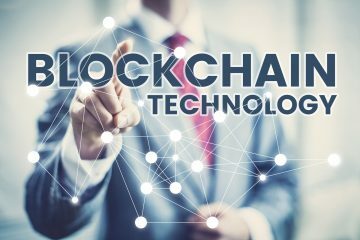 There’s no doubt that blockchain is one of the hottest technologies out there right now. You’ve probably heard about cryptocurrencies like Ethereum and Bitcoin. But did you know that blockchain’s possibilities reach far beyond these currencies? The technology that drives blockchain development can be applied to virtually any type of business. From cross-border payments to food safety, big companies are already using the tech now. Whether you run a software company or startup, it’s important to know about blockchain’s potential applications. Don’t let your business be left behind. If you’ve ever wondered about the possibilities of blockchain development, here’s everything you need to know. You probably already have an idea of what blockchain is. But it’s good to know the fundamentals so you understand how they’re applied in the real world. Here’s the foundation of blockchain in the simplest terms. The “block” is a record of transactions. A completed block is added to the “chain”. So, a chain of blocks equals blockchain. Cryptocurrency is the most well-known application of blockchain. The currencies are encrypted, so the owner has a private key or password to that particular bit of the blockchain. There’s also a public key that enables other people to send you cryptocurrency. There’s a couple of things to keep in mind about blockchain development. One, the idea of a public ledger. Two, decentralization. These are the foundation of why blockchain is useful to all types of industries. A shared, public ledger is one that is transparent and open. Decentralization means that risks of holding data in one place are minimized, and costs are reduced as well. If you want a solid understanding of blockchain development, it will help to understand Solidity. This is a programming language designed to execute smart contracts. It’s also the dominant language for the cryptocurrency Ethereum’s contracts. Solidity is the tool that enables the creation of secure contracts. Keeping in mind that blockchain development is being used to solve security problems brings us to the idea of the smart contract. A standard contract sets out the terms of a relationship, and these terms are usually backed by law. A smart contract has “terms” as well, but they relate to code. Smart contracts are programs that execute in a certain way, based on the code the contract’s creators write. Basically, terms are in computer language, as opposed to standard contracts where they are in legal language. One simple example would be the case where a person wishes to send 20 ether to a friend on a certain date. That person can create a smart contract and push data to it. This way, the contract then executes the command. A smart contract can also be used for something like renting an apartment. A digital key that only works when payment is made to the landlord, for example. In the same way, if the key doesn’t come on time, a smart contract can give a refund to the renter. These contracts can be difficult to navigate, so be sure to get a trusted expert on blockchain to implement them for you. Supply chain businesses work well with blockchain since the industry needs transparency and the ability to trace products for it to work. The world’s largest e-commerce companies are already using it to track merchandise. Blockchain’s shared ledger, which can be viewed and updated in real time, shows the location, owner, and condition of an asset. The possible applications of this in the supply chain industry are endless. A practical example would be in pharmaceutical business. For both health and life sciences companies, blockchain can supercharge track-and-trace technology. The companies can create serial numbers for medications and pieces of equipment. This enables them to be scanned and verified at each step of their journey. Since blocks of data cannot be falsified, trust and transparency are increased and costs are cut. There are two major areas where blockchain development can be applied to disrupt the retail world. The first is consumer payments, and the second is in digital advertising. While mobile payments in America totaled $112 billion in a year, in China the market is $5 trillion. Due to its high transaction costs, the US market is ripe for a change. Some retailers have begun to accept cryptocurrency as a form of payment. This will open up a whole new market of potential customers who are outside of the current financial system. For companies that work globally, there’s a possibility to tap markets in underdeveloped countries. Since their banking and financial systems are not as advanced, cryptocurrency can work as a substitute for slow national banking systems. Blockchain development can also help with the lack of transparency in the digital advertising industry. As an advertiser, you may be getting tricked by ad platforms in various ways. First, there are the bots. These look and behave like humans, and your company will be charged even though no human has ever seen the ad. Your ads may also be placed on sites that you don’t want to be associated with your brand. The issue with using blockchain solutions here is that they are not fast enough yet to deal with the real-time speed of advertising bids. While the blockchain solutions in adtech are not as developed as in other spaces, it’s still an area to watch out. Since the largest tech companies in the world are utilizing it, it’s clear blockchain isn’t going anywhere. 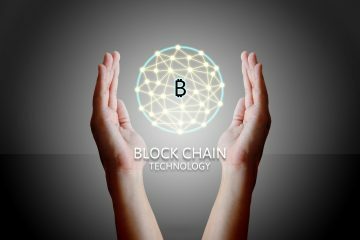 More and more we will see partnerships between Fortune 500 companies and blockchain service providers. It’s smart business to explore the possible applications of blockchain development to your work. If you’re curious about blockchain’s applications for your company, reach out to us today. We’ll even give you a 30-minute free consultation.